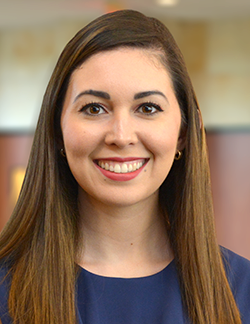 According to a research study conducted by The Schapiro Group, Inc., chamber advocates have long believed that when a company is active in its local chamber, it is doing the right thing not only for the community, but for its own success as well. There are many ways to quantify any given chamber’s impact on its local economy, but it often proves more difficult to demonstrate the true value to any one business. Here at the Garland Chamber, we want to do all we can to ensure that you get the maximum return on your chamber investment, both in time and in money. That said, here’s what we recommend. As with many opportunities in life and in business, you'll get out of the Chamber only what you are willing to put in. Once you've joined, share with the staff what your goals are. Find out which programs and events most closely align with what you’re working to achieve and then get involved. 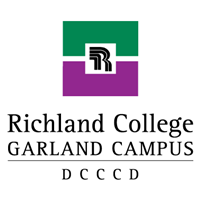 The Garland Chamber offers several unique and specialized initiatives such as the Dallas County Manufacturers' Association and the Women's Business E-nitiative. Scope out the options on our website or call a staff member to learn more. We want to help you expand your network and grow your business, and the more we know about you, the better resources we can send your way. Have you gotten a referral from someone you met at Direct Connect? Did you learn a technique from a luncheon speaker that influenced your business strategy in a positive way? Are some of your new clients a result of exposure your business got at its ribbon cutting ceremony? The answers to these questions can be more powerful than you think. Giving a Facebook shout-out to the business owner who referred a client to you not only shows that your business is growing, but also delivers a message of gratitude to your original contact in the form of a little free promotion. Now that’s networking done right. Your Chamber involvement can beef up your marketing message too. Send a press release to the local news media with a photo of your ribbon cutting and a brief article demonstrating your commitment to the local community through Chamber membership. The Schapiro Group, Inc. study says, “When consumers know that a small business is a member of the chamber of commerce, they are 44% more likely to think favorably of it and 63% more likely to purchase goods or services from the company in the future.” We think those are powerful statistics and your involvement with us is certainly worth sharing. One of the most effective ways to get in front of local business owners is to sponsor a Chamber event. Our staff wants to get in front of the right crowd and can give you a great deal of insight into which events draw out certain industries or professional groups. A luncheon sponsorship gives you five uninterrupted minutes in front of about 150 business men and women from a variety of backgrounds. A golf tournament sponsorship puts your name in front of more than 300, many from our region’s larger industries. However, a sponsorship does much more than allow you to show a presentation and say a few words, it proves that you’re committed to the Chamber’s mission of maintaining a sustainable economy and helping business growth. If that’s something your company believes in, sponsorship is a great way to start spreading the word. There are so many more ways to get involved in the Garland Chamber of Commerce. From serving on boards and committees to attending workshops and visiting with our small business counselor, we’ve got great options to keep you connected and keep your business growing. Contact a staff member to learn how you can get involved today. Reference: “The Real Value of Joining a Local Chamber of Commerce” A Research Study by The Schapiro Group, Inc. Since 2011, Google's Get Your Business Online team has been on a mission to make it fast, easy and free for businesses to get online. Although 97% of internet users are now looking online to find local products and services, 58% of American businesses still don't have a website. 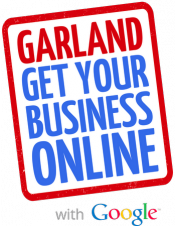 In an effort to close that gap, the GYBO program invites businesses across the nation to extend their reach and maximize their efforts online through a series of interactive, web-based workshops presented by local partners like the Garland Chamber of Commerce. The Get Your Business Online initiative also provides small business owners the ability to develop a custom domain name, web hosting and access to education resources -- all free for one year. Since its debut in 2011, the program has helped more than 135,000 businesses successfully get online and start growing. Check out www.gybo.com for more information and use the button below to start your free website today.